Changzhou UNIQPACK FIBC Packaging Co., Ltd, engages to producing and processing FIBC, Woven Geotextiles and PP woven packages. Our product line covers U-Panel, 4-Panel, Tubular, Drum, Gambo, Baffle Design and other special bags, woven geotextiles; And also including TYPE A,B,C, low-temperature endurable bags, food bags. Our products have been widely applied to chemical product, food, dyestuff / palette, charcoal, mine industry and non-struction industry and so on. Using our own M/cs to make our packaging products. 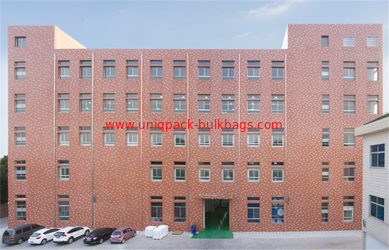 UNIQPACK FIBC Packaging is the sister company of Changzhou Weiyu Precision Machinery Co., Ltd, which is a famous manufactory in the field of the most complete and diversiform FIBC producing M/cs. We applied ourselves to provide the best solution for the equipments of FIBC and woven geotextile producing from 1999. The products include Flat extruder, Circular woven loom, Ribbon loom, FIBC Fabric cutter, Webbing cutter, FIBC folder, FIBC cleaner and so on. By perfectly integrating our resources can improve our FIBC quality producing efficiency. We have 12,000㎡ no dust workshop and 15,000㎡ office and raw materials processing workshop with complete textile inspection equipments to inspect all kinds of bags, under the quality principle of being responsible to not only our clients but also ourselves, we control the quality of each product strictly before delivery. Choosing us means choosing quality, believing us means believing yourselves. Welcome to our company to visit us. 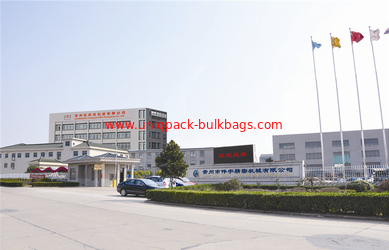 In Jan. of 2008, based on the Weiyu Precision Machinery Co., Ltd platform, Uniqpack FIBC Packaging Co., Ltd is set up. 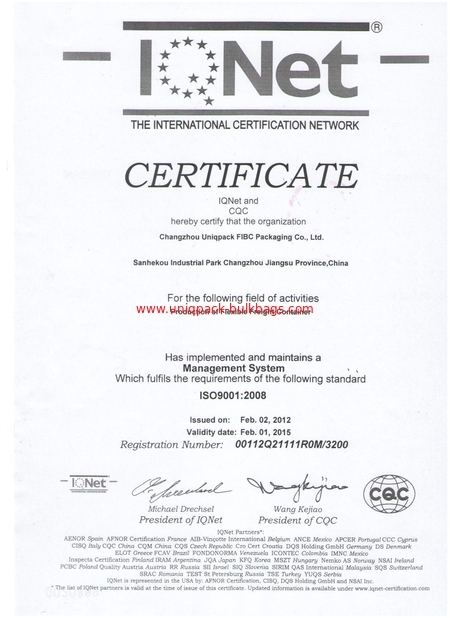 In Feb. 2009, Uniqpack received ISO9001:2008 Certificate. In Jan. 2010, Uniqpack received AIB Certificate and inspected for each year. In DEC. 2011, New Uniqpack building is set up and putting into operation. 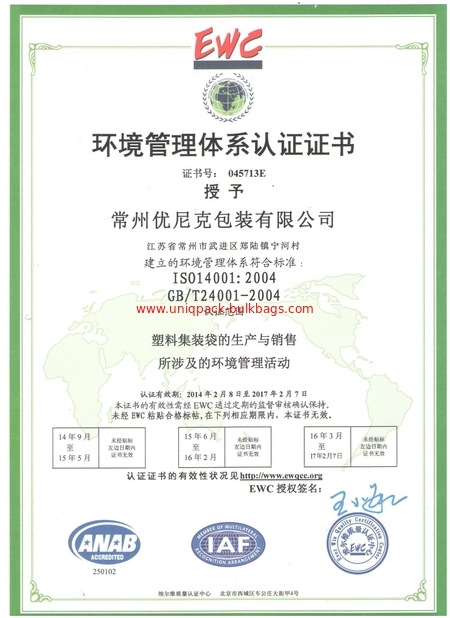 In Feb. 2014, Uniqpack received ISO14001:2004 Certificate. In Nov.2014,Uniqpack received BRC Certificate. relationship in the future, finally achieve a win-win situation!